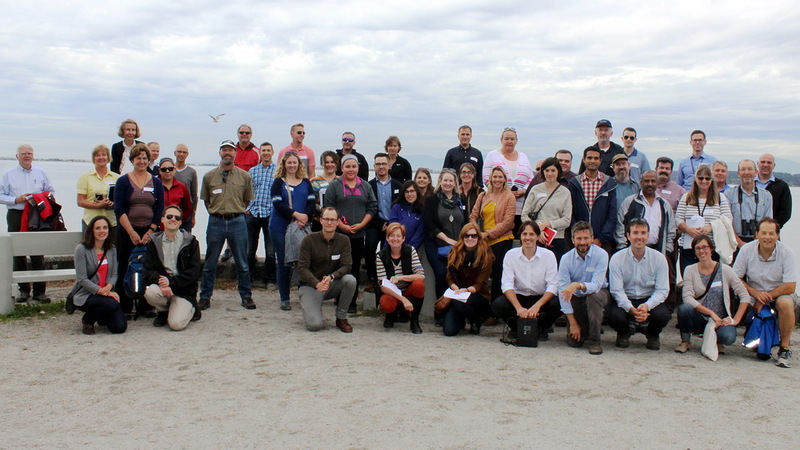 Green Bricks Education Society recently held their fifth annual Green Collar Futures Career Conference to answer students’ questions on green careers. 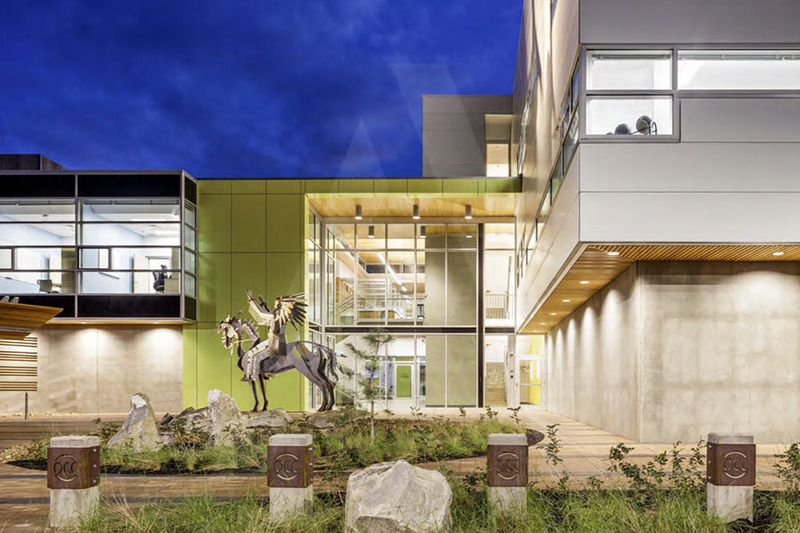 The purpose of this organization is to involve BC youth in sustainable land use and offers free workshops to secondary and elementary students across British Columbia. 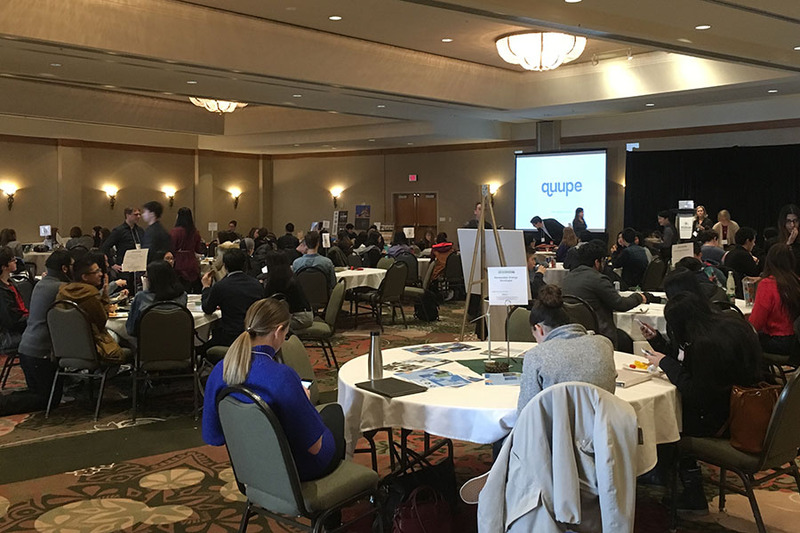 Eason Li, Designer volunteered as a career mentor at the conference to present to the participating students who are in grades 10-12. 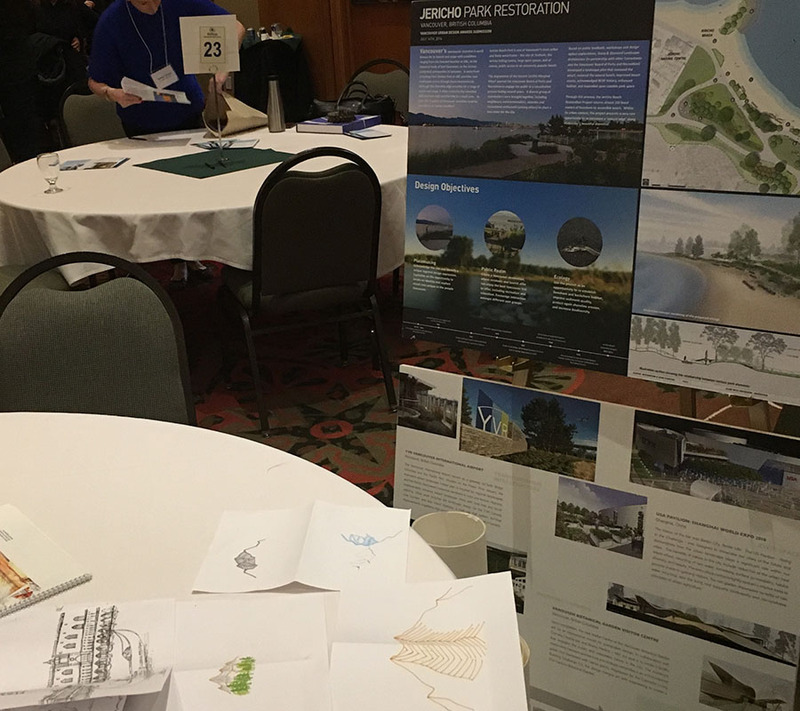 Eason shared his experiences working as a Landscape Designer to a very interested group and enjoyed connecting with the young people in his community. 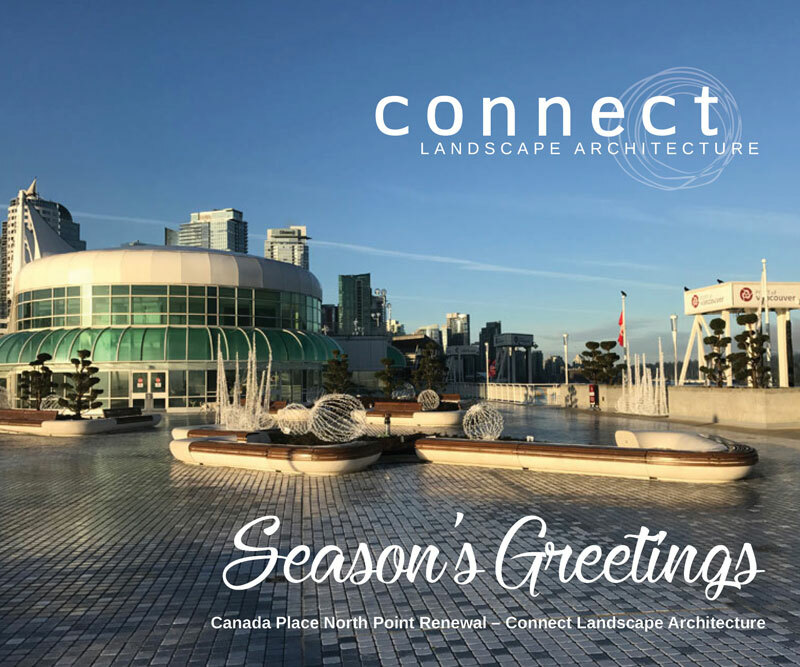 Please note our office will be closed starting December 23rd and will reopen January 2nd, 2018. 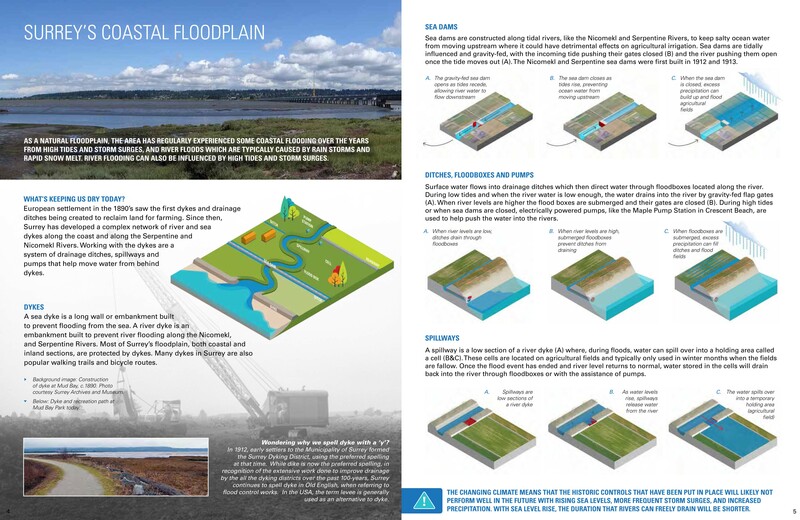 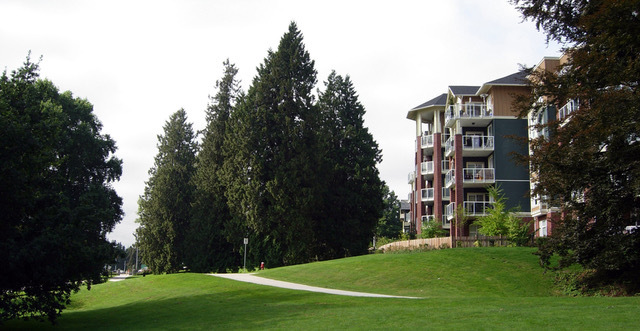 Connect is excited about Surrey’s Coastal Flood Adaptation Strategy (CFAS) which explores the impacts of climate change on Surrey’s coastline, and the long-term adaptation options available to the city. 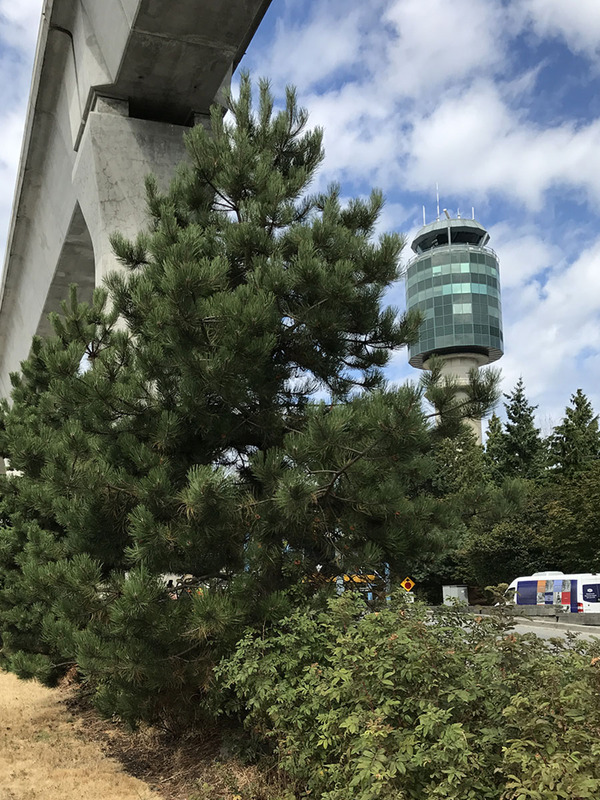 Through UBC’s Mitacs program, Connect’s Allison Tweedie has been involved with the project since its launch in Fall 2016. 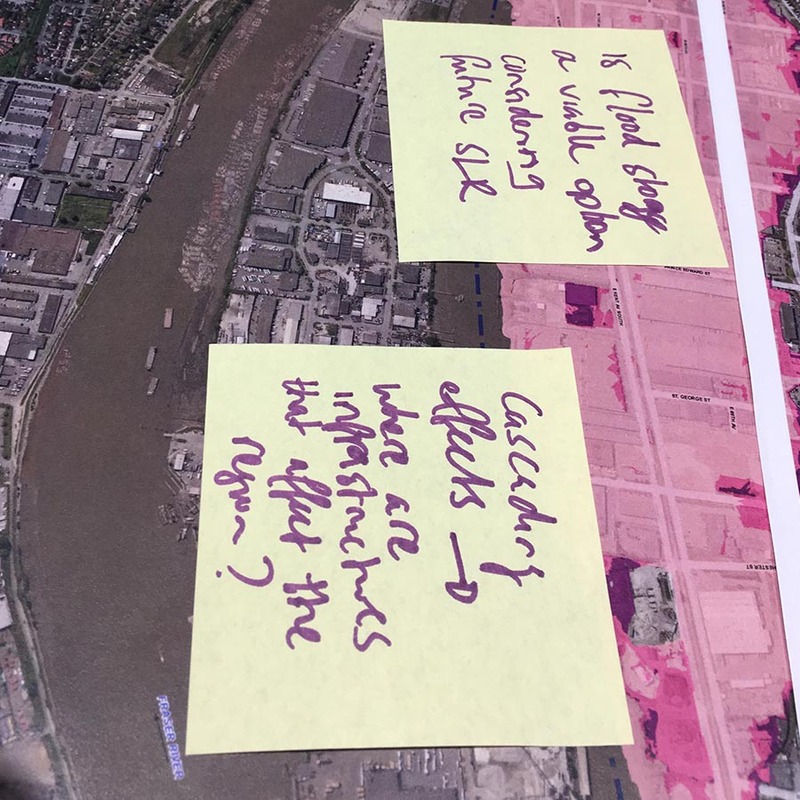 She has been instrumental in visually communicating climate change impacts and developing adaptation options with the projects’ interdisciplinary team, partners and various stakeholders. 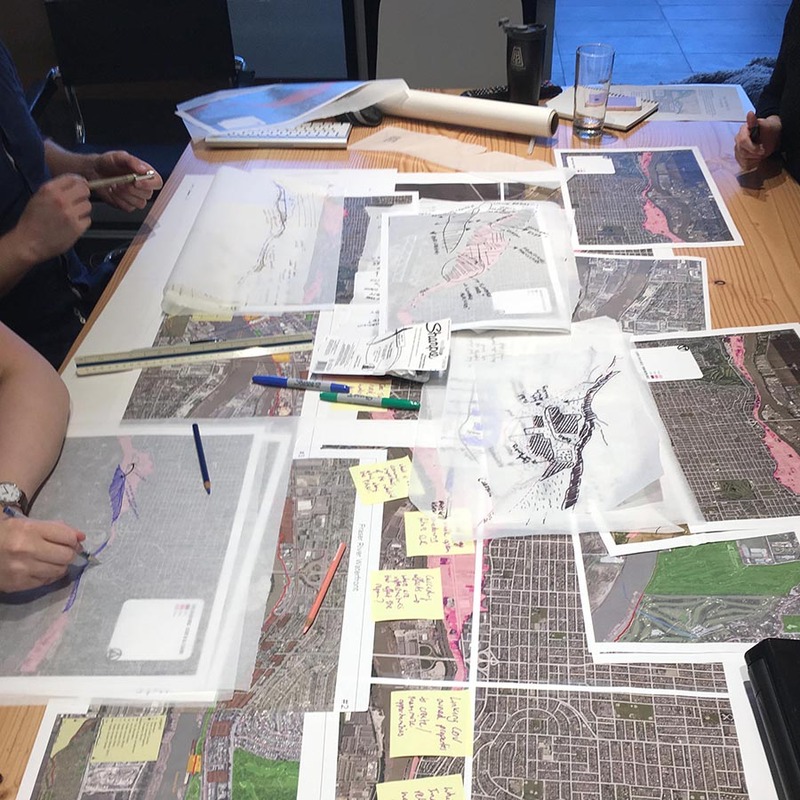 As our coastal communities adapt to climate change, we are excited by the role that landscape architects will play in promoting resiliency through education and designs that integrate flood defense with ecological improvements and unique spaces for people. 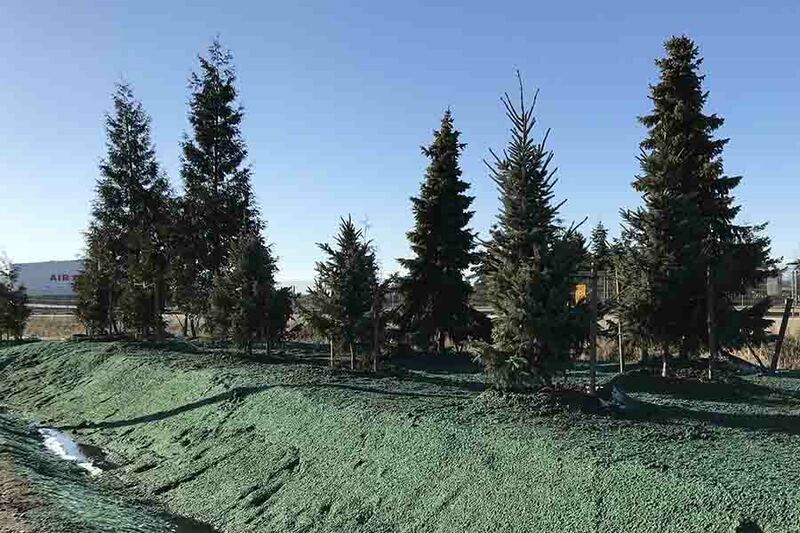 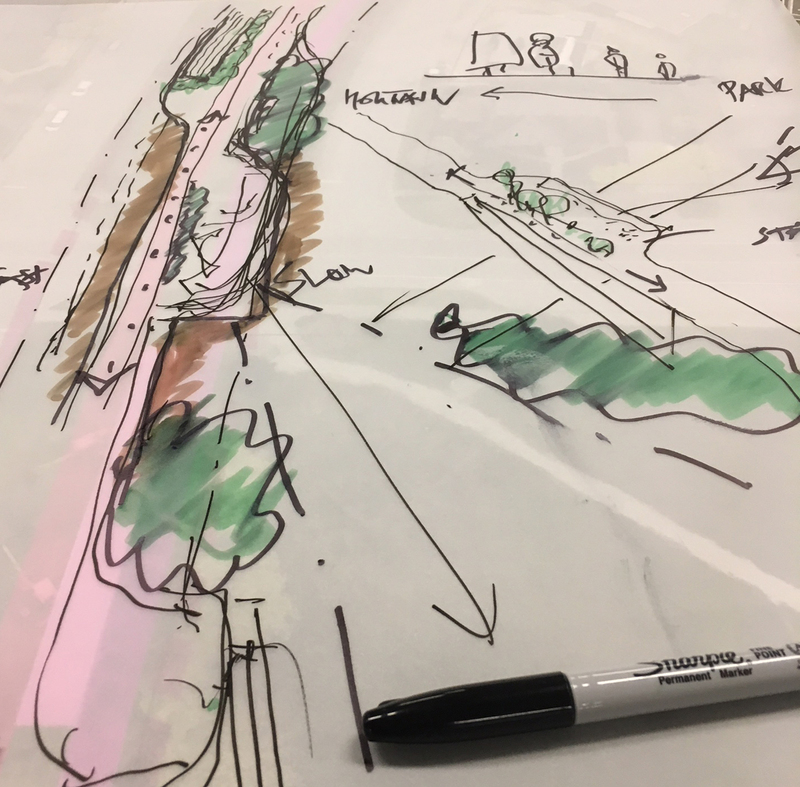 Connect Landscape Architecture is proud to be an active participant in reimagining the Arbutus Greenway. 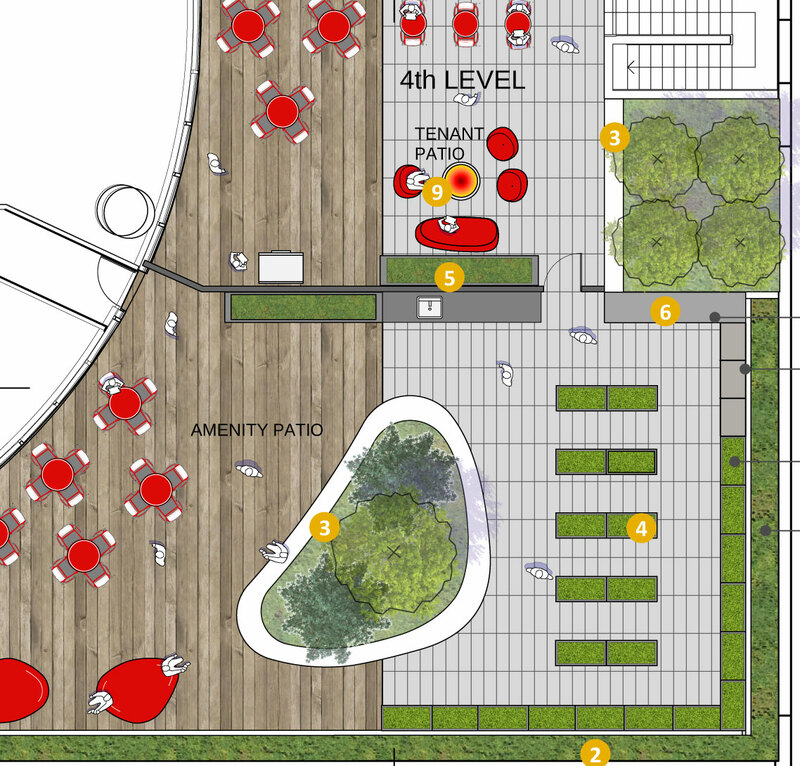 Eason Li, Designer recently volunteered as an illustrator during the Arbutus Greenway Design Jam on October 28th to October 29th in Vancouver. 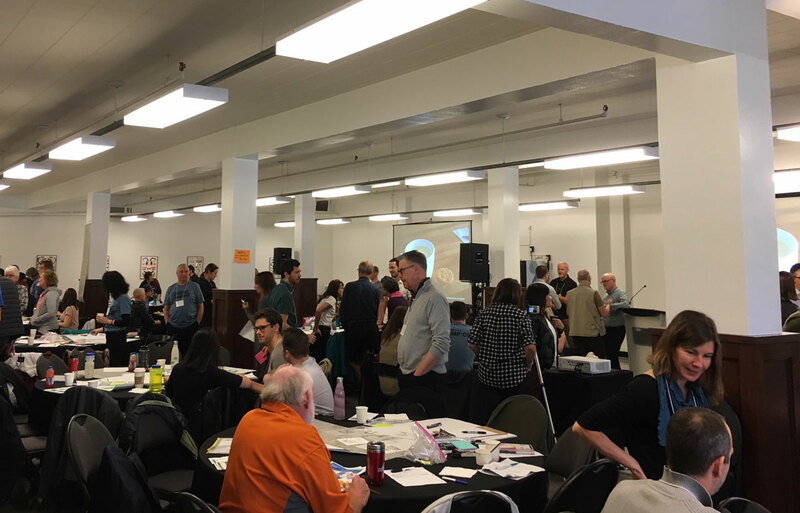 The Design Jam is a multi-day workshop facilitated by the City of Vancouver in which more than 100 participants from across Vancouver work together with the project team to explore the possibilities of the future Arbutus Greenway. 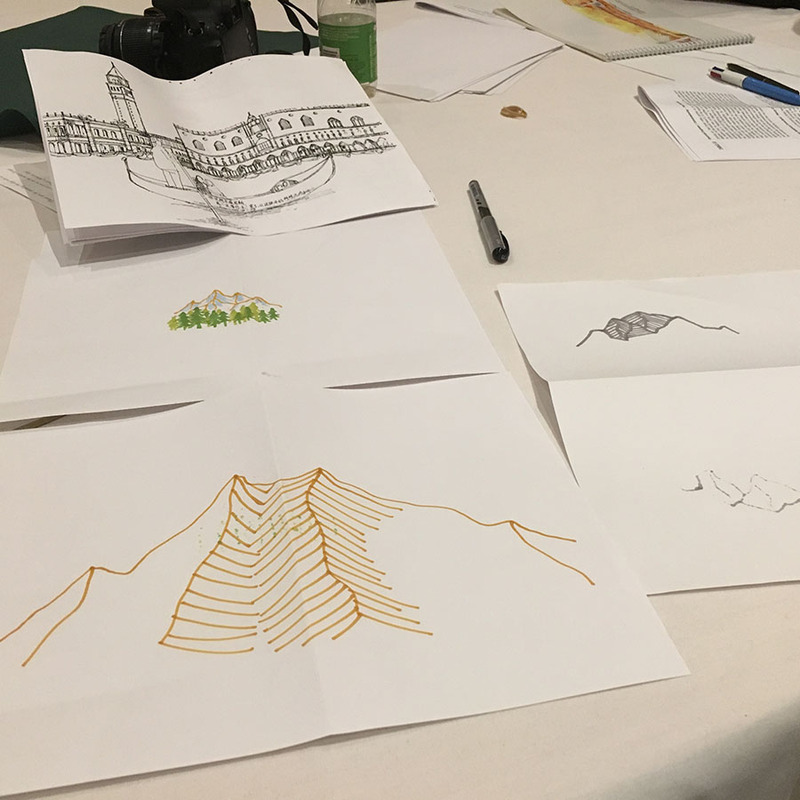 During the workshop, Eason helped stakeholders visualize the ideas and concepts. 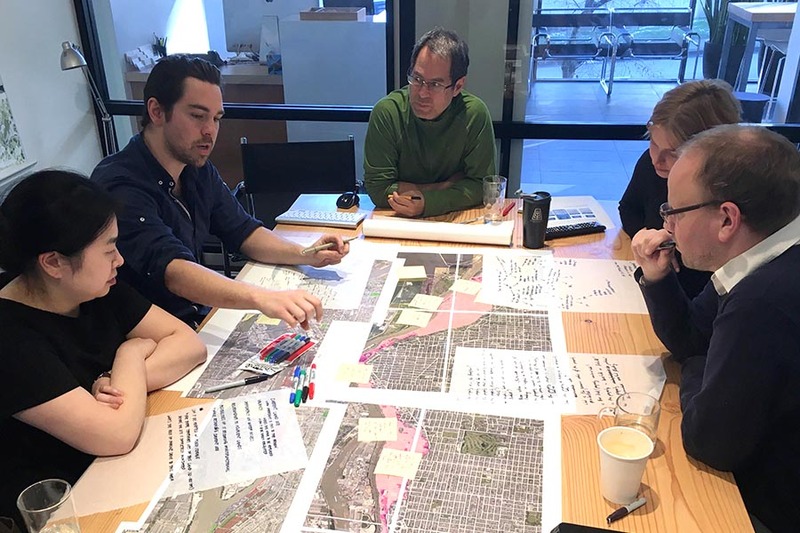 Through his involvement, Connect Landscape Architecture has gained valuable insight and understanding of the vision for this major city corridor. 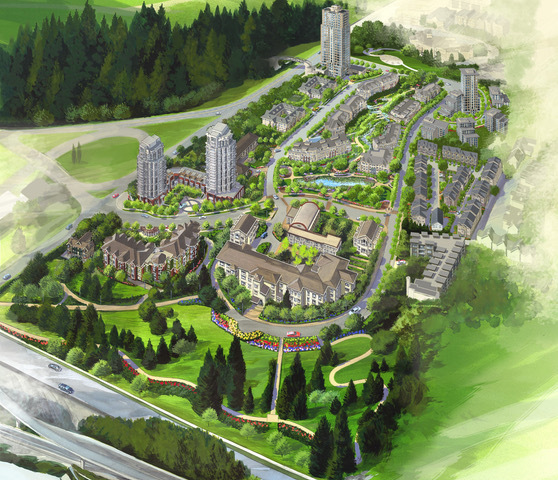 We are excited about the future possibilities for Vancouver! 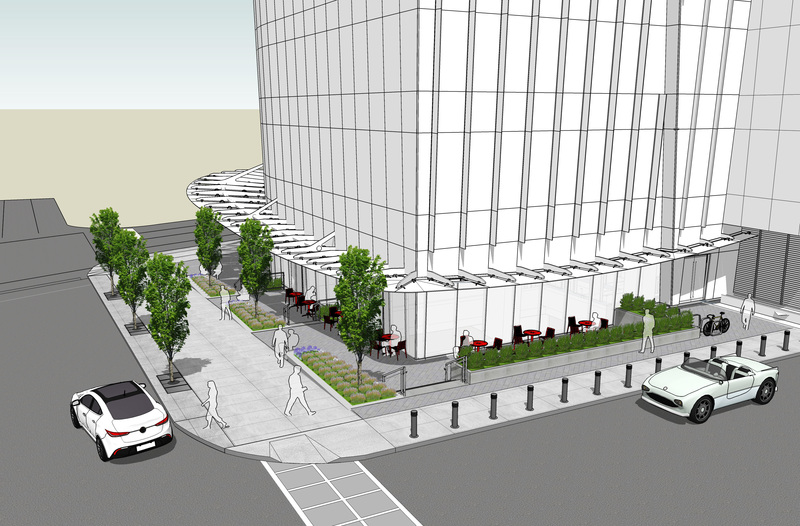 Plans for a prominent office tower in downtown Vancouver are moving ahead. 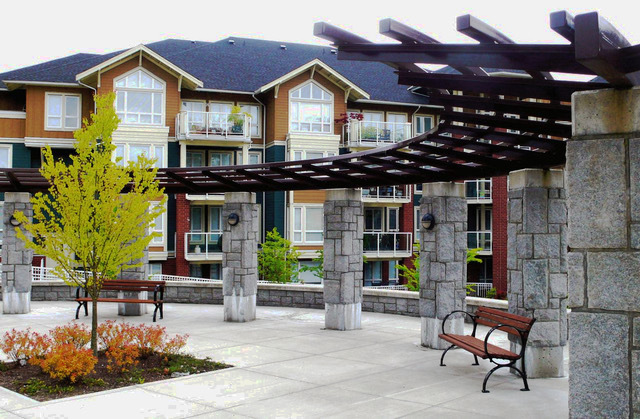 The project will exceed the City of Vancouver’s Sustainable Sites Policy including harvesting rainwater for reuse. 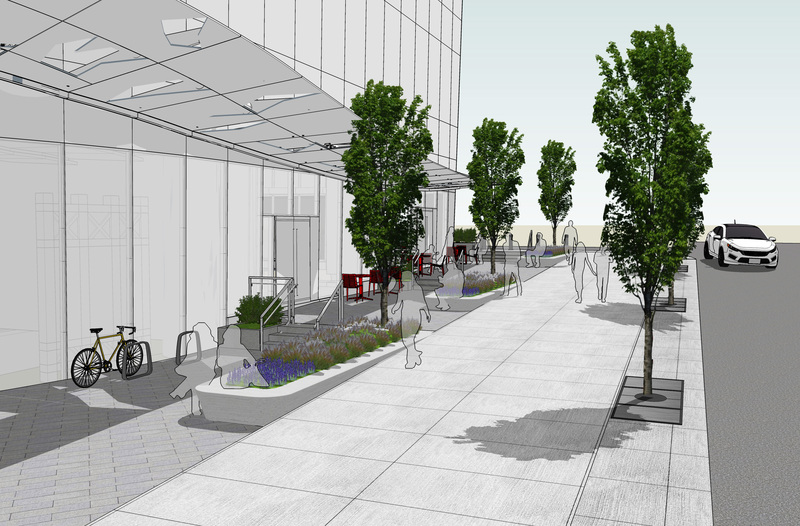 The Public Realm acknowledges the prominence where the grid of the downtown peninsula meets the waterfront street pattern creating an enhanced and inviting pedestrian experience. 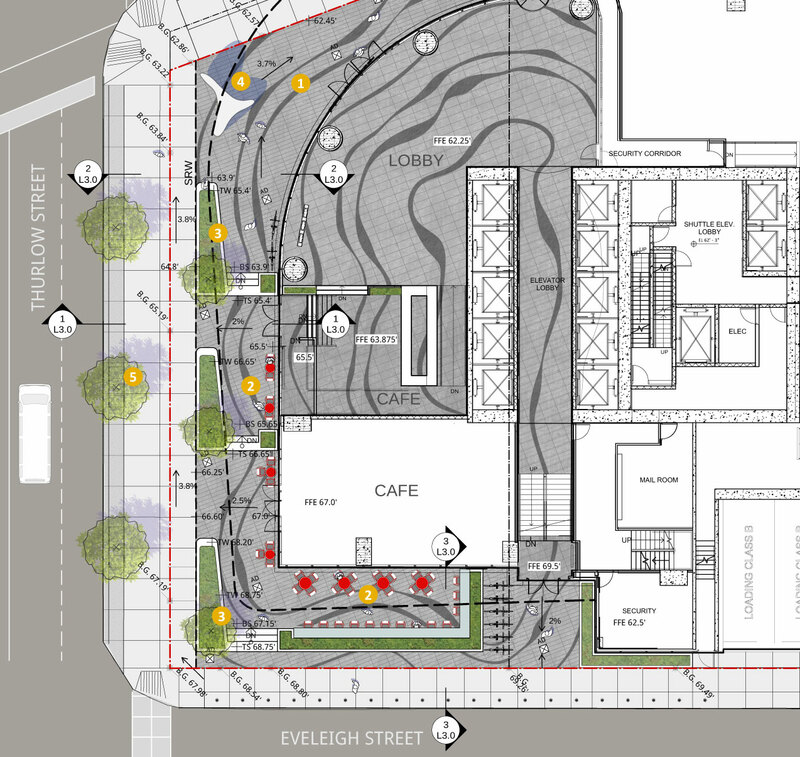 Stone paving inspired by Burrard inlet extends from the lobby to the street edge boulevard and throughout adjacent café and retail. 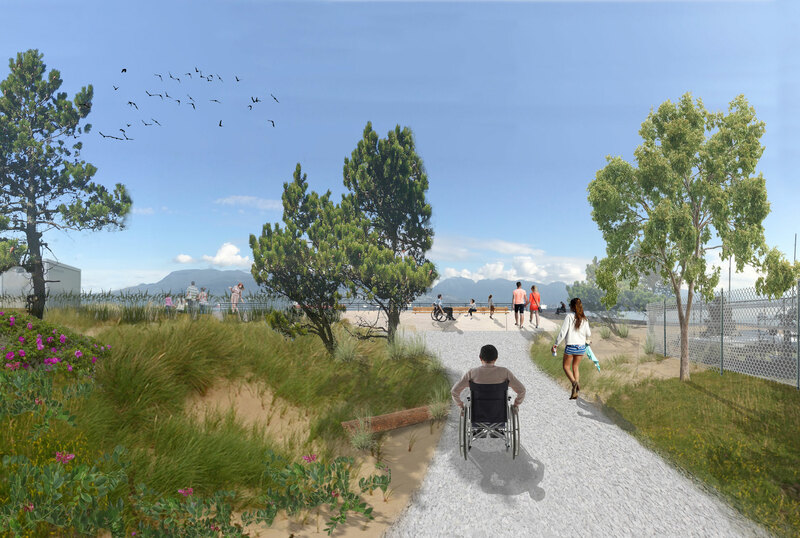 Vancouver Park Board approves accessible pier at Jericho Beach. 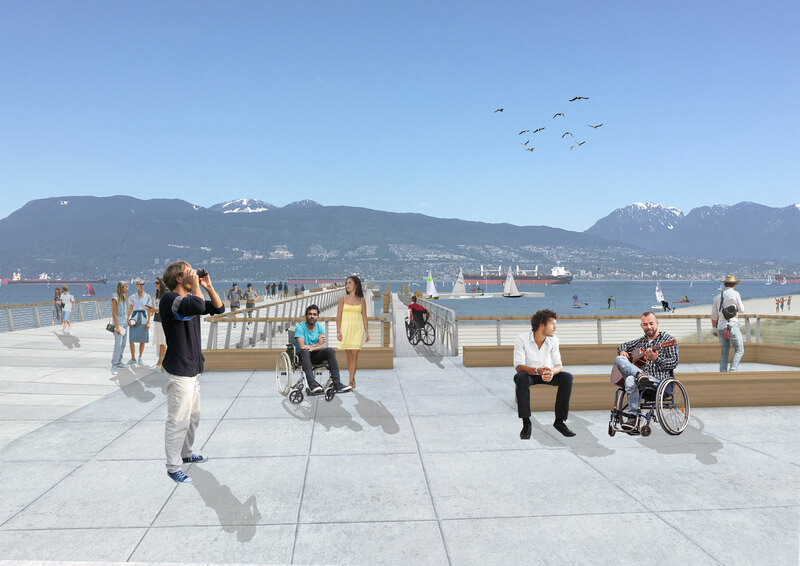 Renderings by Connect Landscape Architecture Inc.
Connect is pleased to announce that the concept design of the Jericho Pier revitalization has design received unanimous approval on Monday November 20th. 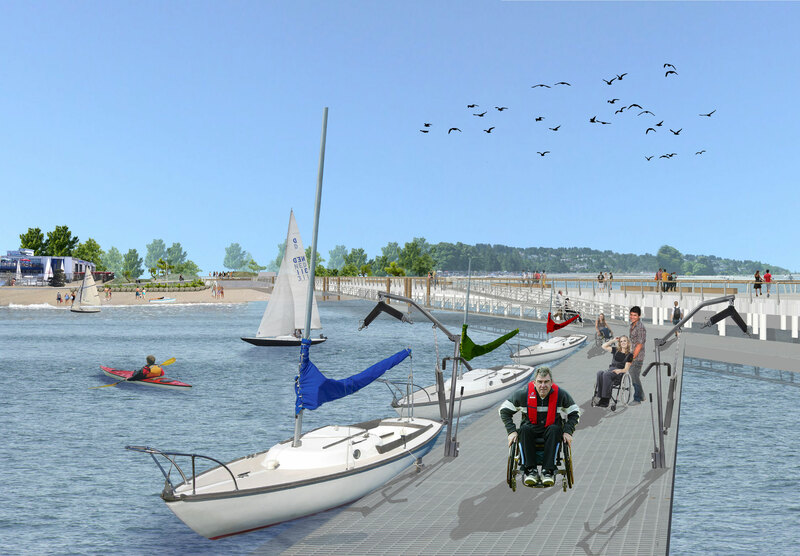 We have been working with the Vancouver Park Board and the Disabled Sailing Association for the past two years on a pier design that provides universal access for sailors. 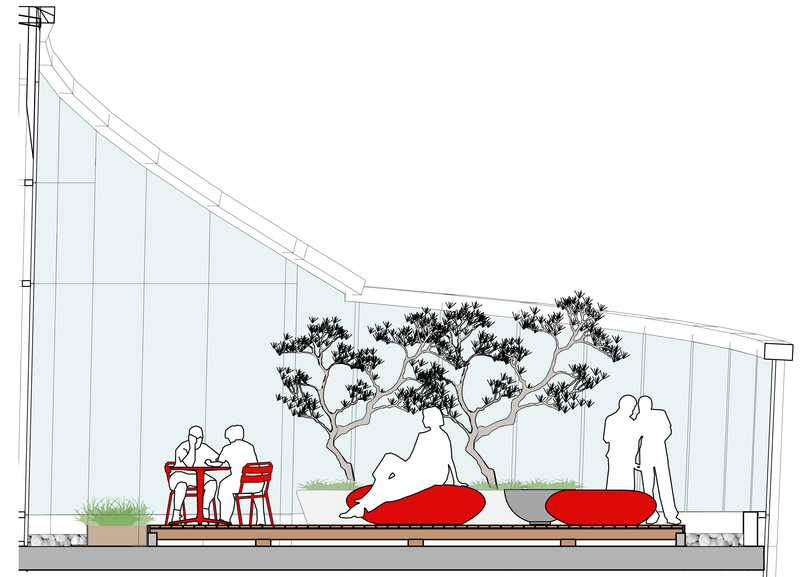 The new pier will also include improved public access and wayfinding, native dune ecological plantings, and promenade. 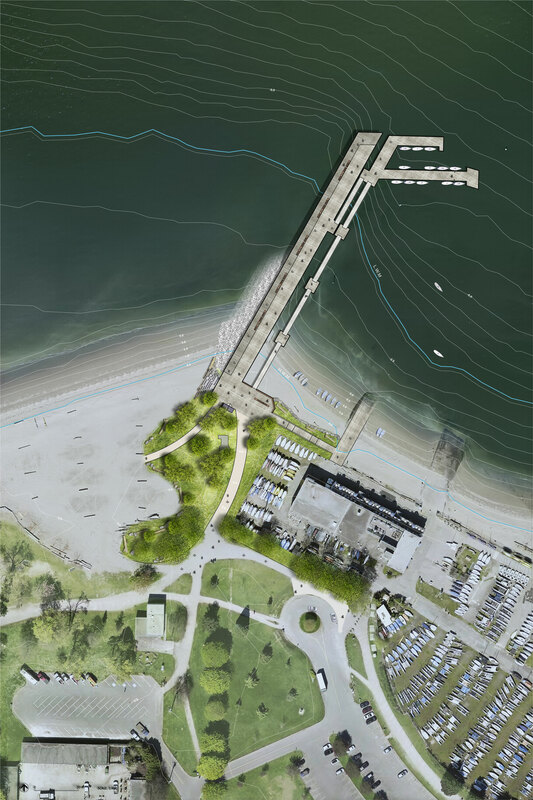 The elevated pier design responds to climate change with protection from wave action and increasing sea levels.